Written by Evsen Yanmaz. Edited by Christian Bettstetter. 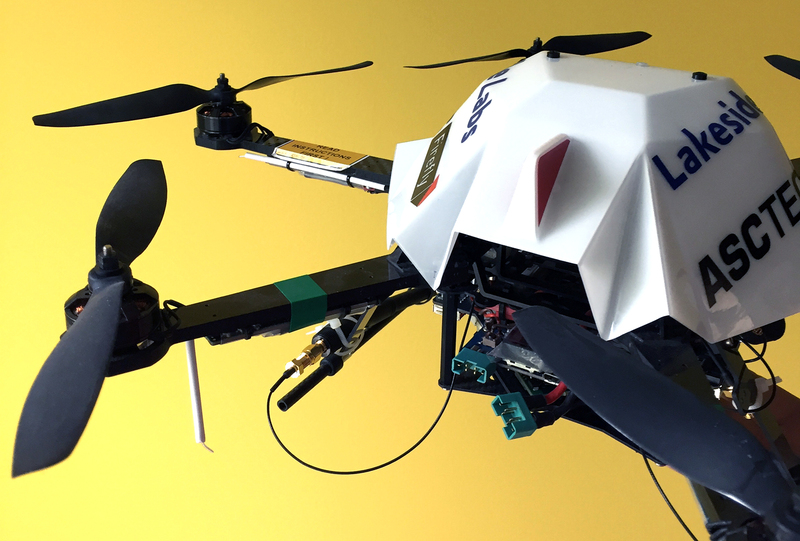 Small drones become increasingly popular for civil applications, including production of movies and delivery of important goods. The wireless communications and networking of drones is an essential building block in such systems. Lakeside Labs researchers have been working in this domain for several years; now they wrote a comprehensive survey article on the characteristics and requirements of drone networks. Evsen Yanmaz, senior researcher and project manager, states: “Our survey quantifies quality-of-service requirements, network-relevant mission parameters, data requirements, and the minimum data to be transmitted over the network.” Together with two PhD students, she elaborated on networking-related requirements, such as connectivity, adaptability, safety, privacy, security, and scalability. The researchers also report about experimental results and investigate the suitability of existing communication technologies for supporting reliable aerial networking. “We aim to answer such fundamental questions as: What are the quantitative and qualitative communication demands of aerial networks? Is a global aerial communication network, catering to the needs of all types of applications possible? Can the existing communication technologies support all the specified qualitative and quantitative demands? If not, do we look for newer solutions? Or do we design application specific aerial communication networks?” Yanmaz explains.